Opening a port on your router is the same thing as a creating a Port Forward. These open ports allow connections through your firewall to your home network. 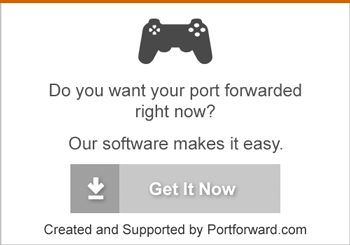 Having to create a port forward is common in gaming, VoIP configurations, and torrenting. The easiest way to forward a port is to use our Network Utilities suite of tools. You can use the following guides to help you port forward popular applications such as Minecraft, PlayStation, uTorrent, and Xbox. We will also teach you how to open a port on any program or application you wish. Below is our growing index of Router Manufacturers. Go ahead and select the one you use from the list. For more guides about setting up your router, visit SetupRouter.com.